Frontline staff, from GPs to benefits advisers, acknowledge that their understanding of autism is limited. While most professionals know something about autism, they do not necessarily understand how autism affects people. This makes it hard for them to recognise autism and communicate appropriately with people with autism. It also means they may not know how to adapt their behaviour and their services to support people with autism. The autism strategy commits to increasing understanding of autism by improving autism awareness training for all frontline public service staff, in line with the needs of their job, and developing specialist training for staff in health and social care. We recommend that autism awareness training should be included within general equality and diversity training programmes across all public services. The forthcoming statutory guidance will provide examples of best practice for health and social care, and emphasise the importance of involving adults with autism and their carers in developing and delivering training. Ensuring that autism awareness training is provided to all DEAs who have not yet received it. We believe it is essential that autism awareness training is available to all staff in the criminal justice sector. We believe it is therefore essential that autism awareness training is available to everyone working in health or social care. We will therefore work with partners to develop effective training modules and approaches which can be used by local authorities and primary care trusts (PCTs) to create training programmes locally. [The Department of Health] has also recently commissioned the development of new online resources and information about autism for those working in the health and social care sectors. We will work with PCTs and local authorities to identify priority groups for training. 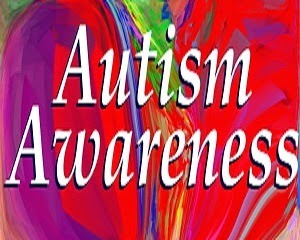 We believe that autism awareness should be part of the core training curricula for doctors, nurses and other clinicians. We recommend that autism awareness should be an essential part of the training given to staff carrying out community care assessments. [The Department for Work and Pensions] is investigating whether existing campaigns and programmes such as Employ Ability can be extended to include more examples of adults with autism. It will be expected that autism awareness training is included in the equality and diversity planning and single equality schemes of all central government departments. 2 Responses to "AUTISM AWARENESS TRAINING AND STRATEGY"
Jose Andrews is my name, Some people keep questioning God, asking him why he allowed Satan to put in the world deadly diseases, but they never know that anything happening in this life, is just for a particular reason. Here is my story on how I was cured of schizophrenia by a herbal doctor Uwadia Amneifo using his herbal mixture. Few months ago, I realized I had some problem with my system, and later on I begin to forget things easily. I complained to my doctor after his text he said just a little problem with me, but that soon I will be fine. He prescribed for me and I was taking medicine according to his prescription but my condition was getting worse instead of coming down. So I went back to my doctor after some time, he said am having issues with my brain, this continues gradually until it became worse and I was diagnosed of schizophrenia and this disease is also known as Asperger's Syndrome. My doctor told me there is no cure to this disease that I have to live and die with it. It continued for one month and my system was almost shutting down before my cousin brother came to my house to visit and broke to us the news about a herbal doctor he heard about called doctor Uwadia Amenifo that cured some body of Stevens Johnson Syndrome. So he explained how he heard about this herbal doctor uwadia Amenifo and the kind of terrible diseases this doctor have cured. His words were very impressing and I had to give the doctor a try. We made contact with him and he said he can cure me. So my cousin made all necessary arrangement with him, and he prepared herbs and send to me in USA. I took the herbs according to his prescription and behold to cut long story short his herbs works perfectly well, and cured me of my schizophrenia. Today I am hale and healthy and evidence of my healthiness can been seen in this piece of note I wrote myself to tell the world about Herbal Doctor Uwadia Amenifo. Please if you know anyone suffering from brain disease, in a hurry contact Doctor Uwadia Amenifo on his email (doctoruwadiaamenifo@gmail.com), and his cell no is +2349052015874. I wish all suffering from brain problem quick recovery.